for any tolerance calculation need ! Simulate and quickly identify the propagation of static loads in a mechanical assembly, compare the impact of design choices, etc. As an application of the multi-disciplinary 3DEXPERIENCE Platform, Tolerance Analysis will become a full step of the numerical continuity in the Product Lifecycle. 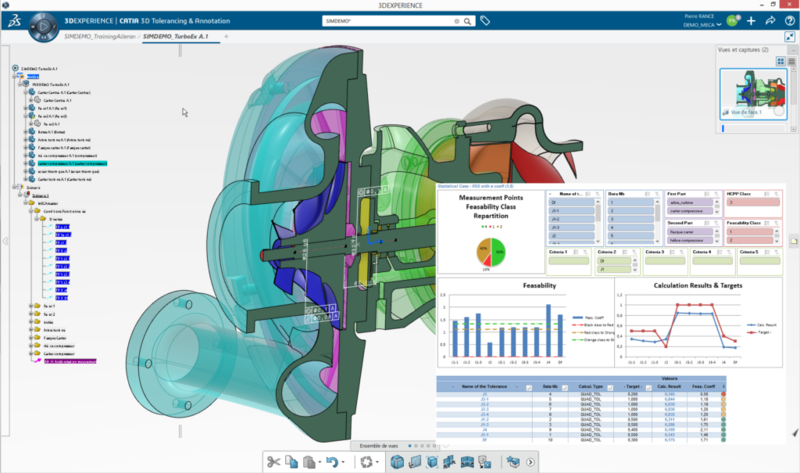 Simulate and Analyse in CATIA V5 your requirements benefiting from the full MECAmaster calculation possibilities. Using SpaceClaim as a stand-Alone editor, preliminary and advanced Tolerancing Design will be available on a multiple format environment. A company, financially independent and strong, fully in control of its own future. Would you like to get a quick information brochure about our Products ? Just submit your details and a MECAmaster reprensetative will be in touch shortly. Once the relation established, you can go any further you want on any technical / financial subjet. we will be glad to help you the best we can !! Note that all information provided will be strictly considered as confidential information.